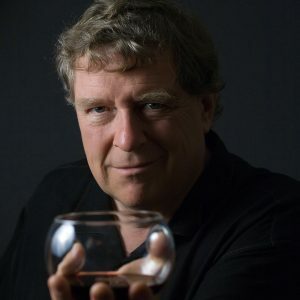 Clark Smith, winemaker for his own WineSmith label and several other brands, has dedicated for four decades as a consulting winemaker, author, inventor, musician, and professor to the Wine Industry throughout the globe. A product of M.I.T. and U. C. Davis, he has founded and managed four prominent start-ups and consulted for thousands of wineries and other craft beverage producers and suppliers throughout the world. He holds patents for VA removal and alcohol adjustment via reverse osmosis. His popular “Fundamentals of Modern Wine Chemistry” has received rave reviews from over 4,000 winemaker participants since 1984. His revolutionary Postmodern Winemaking was named Wine and Spirits Magazine’s 2013 Book of the Year. The IQ Conference named him 2016 Innovator of the Year. His ground-breaking Postmodern Winemaking Symposium format, which brings together 100 experienced experts for a lecture-free roundtable discussion, is among the Wine Industry’s most celebrated events.